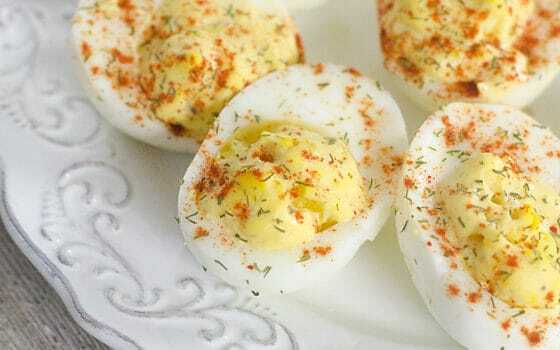 I’m all about easy to make recipes during the summer. 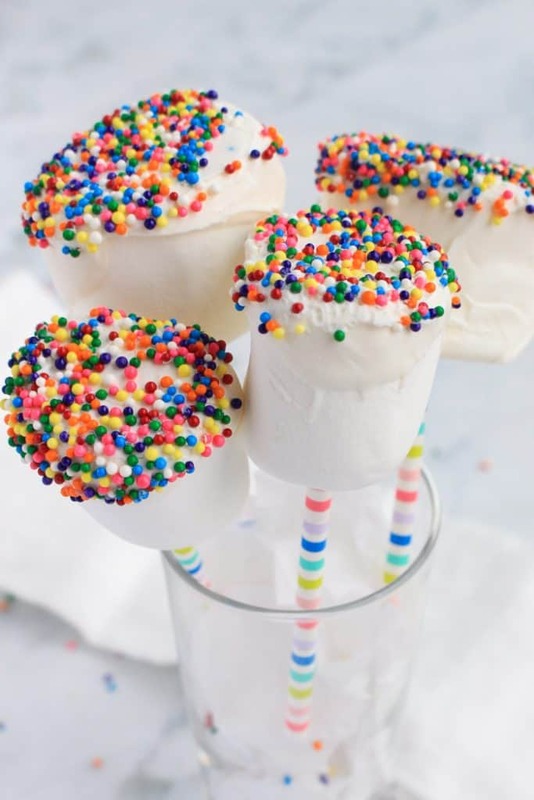 My kids just started their summer break and these sprinkle marshmallow pops are a fun and easy recipe that we can easily make together. 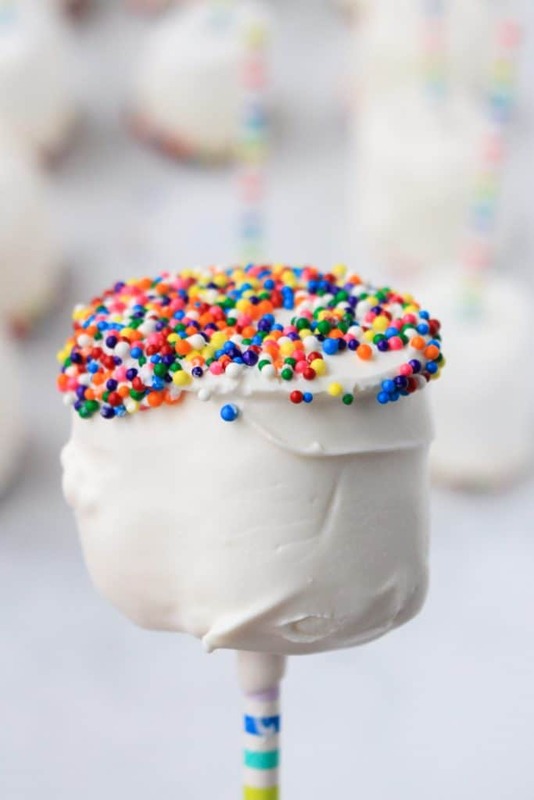 All you need are a few ingredients to make these pretty sprinkle marshmallow pops that would make the perfect treat for kids or you can grab a bunch, tie with a pretty ribbon and use for end of school parties. 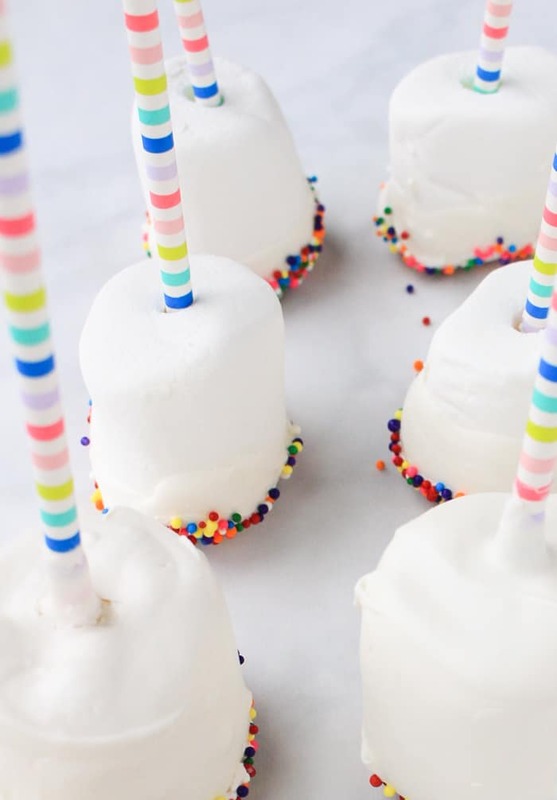 Place marshmallows on a flat surface and firmly twist in straw about 3/4 of the way. Pour candy melts and vegetable oil into a microwave-safe cup. Microwave in 30 second increments until fully melted (about 90 seconds), mixing well each time. 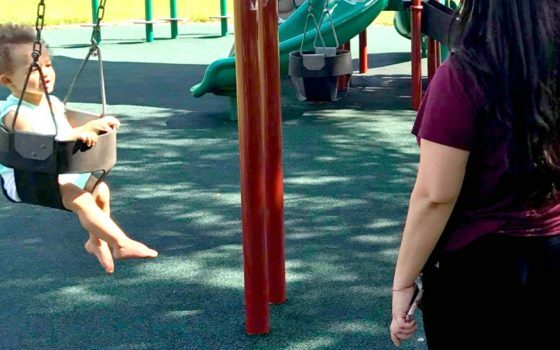 Allow to cool for about five minutes. Dip half of the marshmallow into melted chocolate and twist to allow excess to drip off. 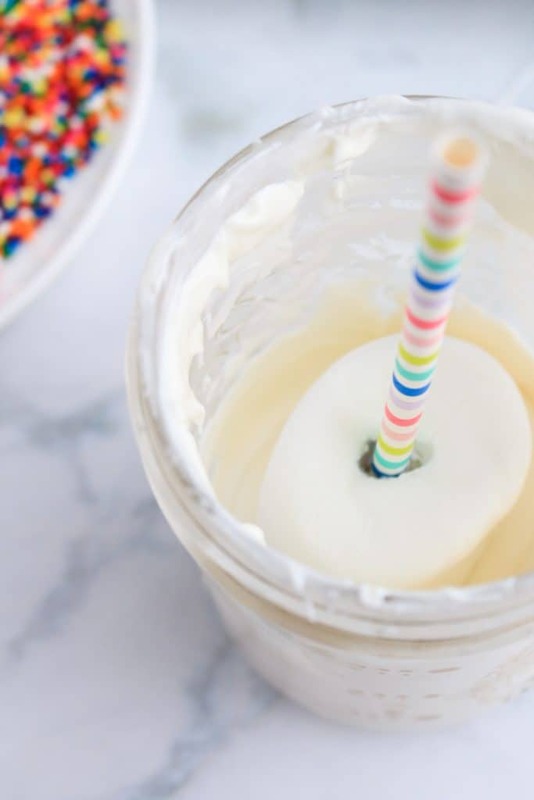 If you’d prefer to fill the gaps around the straw and create a hard shell around the marshmallow, submerge the marshmallow completely until the chocolate reaches the base of the straw. When allowing the excess to drip off, hold the pop horizontally so the weight of the chocolate doesn’t loosen the grip of the straw. 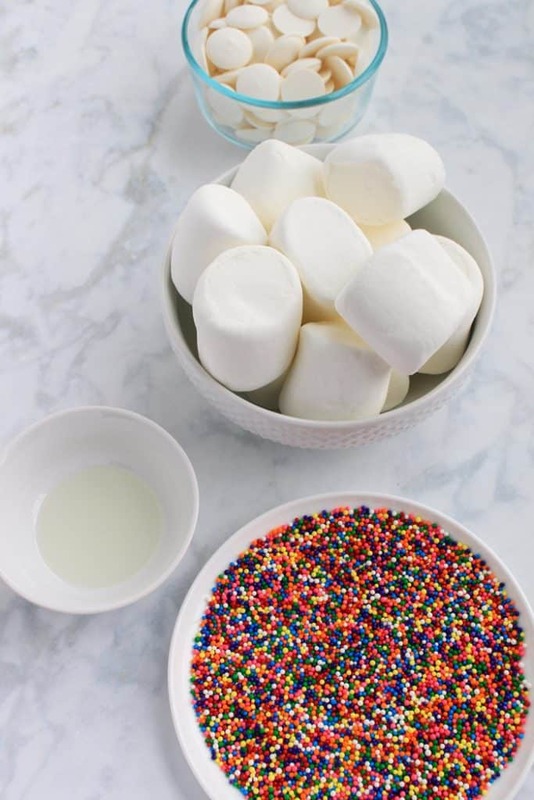 If marshmallows have dried before dipping into sprinkles, microwave water in a bowl until boiling, pour off water and dry off bowl. Then twist the marshmallow pop around the hot bowl to slightly melt the bottom of the marshmallow pop. 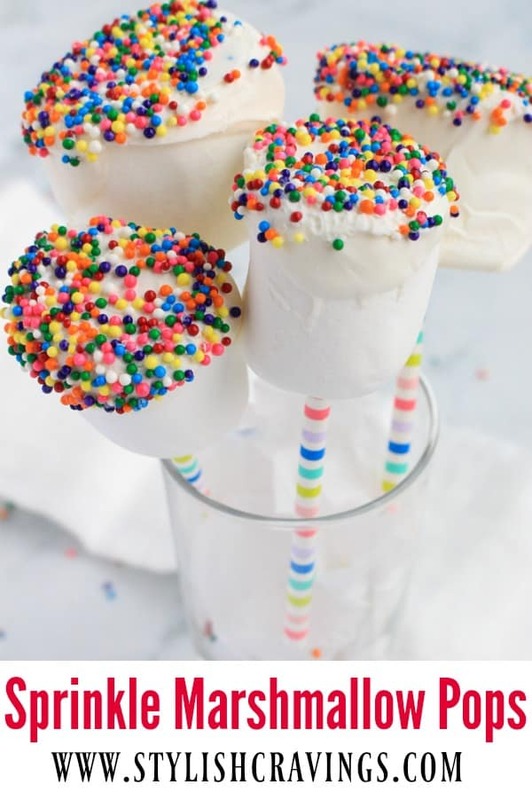 Aren’t these Sprinkle Marshmallow Pops pretty!? 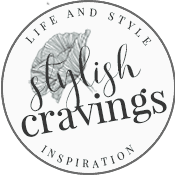 More easy to make treats!